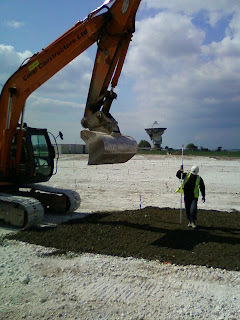 With the HBA cabling and backfilling complete, work can continue with the preparation of the HBA surface ready for the tile antennas. To do this, the chalk is scraped to get it roughly level. 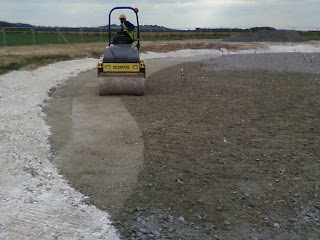 Then a layer of type-1 (a fine mix of fresh gravel and sand) is spread across the field. 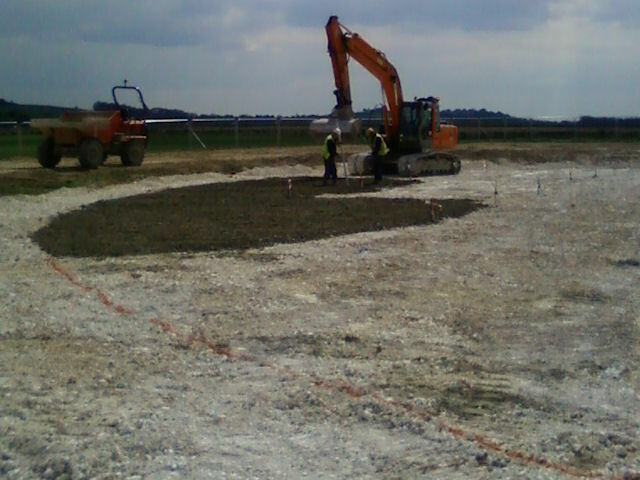 This is then levelled again. Once that is done, it can be compacted to form the final surface. Actually, it is then measured and trimmed again, as the rolling process can cause subsidence in areas where the trench re-filling occurred. Admittedly this subsidence is very slight, but we are aiming for a tight surface accuracy of +/-30mm across the entire field diameter (approx.65m). The type-1 is applied to the surface. Although it is only a light grey, against the stark white of the chalk it does seem very dark. Using a laser level, the type-1 is scraped to the correct height. 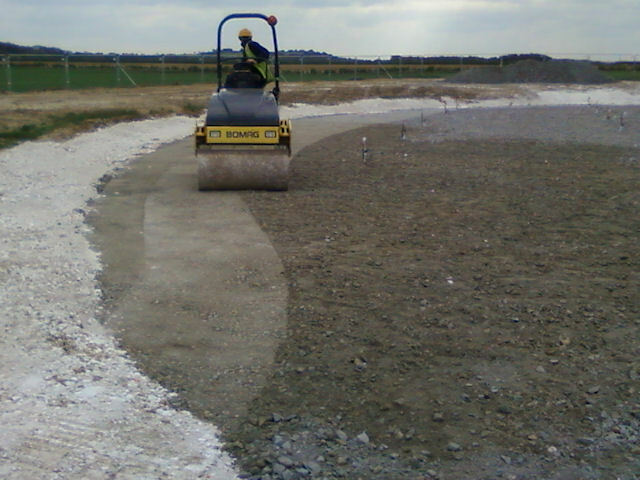 On the edge of the field a rotating laser allows the surface height to be accurately measured. 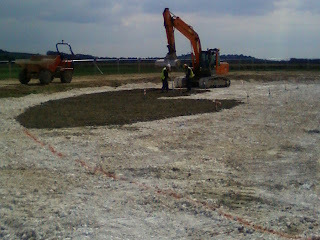 The skill of the digger operator in achieving this was quite remarkable. Using the roller, the type-1 is compacted to the final finish.